Shouldn’t the United States Return to Its Constitution? The Constitution (article VI, clause 3) requires that senators and representatives “be bound by oath or affirmation, to support this Constitution.” Do they? U.S. law requires that members of Congress be sworn in before they can take their seats. Senators and representatives must “solemnly swear” that they “will support and defend the Constitution of the United States against all enemies, foreign and domestic,” and that they “will bear true faith and allegiance to the same.” Do they? Regardless of any issues that libertarians have with the Constitution, it is the supreme law of the land that members of Congress are supposed to support, defend, and bear faith and allegiance to. Do they? They certainly do not. Americans live in a vast welfare state that is not authorized by the Constitution. American live in a country with tremendous interference by the government in business, society, and the economy. I would even go so far to say that 95 percent of what the U.S. government does is unconstitutional. Yet, the United States is very concerned about other countries following their constitutions. The corrupt and hostile regime of Nicolas Maduro in Venezuela clings to a false dream and antiquated vision for the region that has already failed its citizens. It does not represent the vision of millions of Venezuelans—or in any way comport with the norms of our Latin American, Canadian, or Caribbean partners. Our position has not changed. We urge Venezuela to return to its constitution—to return to free, open, and democratic elections—and to allow the people of Venezuela a voice in their government. We will continue to pressure the regime to return to the democratic process that made Venezuela a great country in the past. So a commonly proposed solution to a lot of the problems in the country is the removal of President Maduro from power. In your opinion, is this removal necessary, and what could the U.S.’s role be in the possible regime change, especially considering the turmoil that could surmount from such a change? Well, President Maduro could choose to just leave. I mean, that would—(laughter). That’d be the easiest. We have not advocated for regime change or removal of President Maduro; rather, we have advocated that they return to the constitution. We do not recognize the constituent assembly as legitimate, and they need to get back to the constitution and follow the constitution. We—I think there will be a change. We want it to be a peaceful change. Peaceful transitions, peaceful regime change is always better than the alternative of violent change. In the history of Venezuela and in fact the history in other Latin American and South American countries, oftentimes it’s the military that handles that, that when things are so bad that the military leadership realizes they just—they can’t serve the citizens anymore, they will manage a peaceful transition. Whether that will be the case here or not, I do not know. Again, our position is Maduro should get back to his constitution and follow it. And then, if he is not re-elected by the people, so be it. And if the kitchen gets a little too hot for him, I’m sure that he’s got some friends over in Cuba that can give him a nice hacienda on the beach, and he can have a nice life over there. Good advice. But shouldn’t the United States return to its Constitution? If the United States returned to its Constitution, the war on drugs would be ended. If the United States returned to its Constitution, the DEA would be abolished. If the United States returned to its Constitution, the Medicaid program would be ended. If the United States returned to its Constitution, the WIC program would be ended. If the United States returned to its Constitution, federal funding of education would be ended. If the United States returned to its Constitution, the Department of Education would be abolished. If the United States returned to its Constitution, the food stamp program would be ended. If the United States returned to its Constitution, the Department of Health and Human Services would be abolished. If the United States returned to its Constitution, federal funding of arts and culture would be ended. If the United States returned to its Constitution, the Corporation for Public Broadcasting and NPR would be abolished. If the United States returned to its Constitution, the SSI program would be ended. If the United States returned to its Constitution, the TANF program would be ended. If the United States returned to its Constitution, federal minimum-wage laws would be abolished. If the United States returned to its Constitution, federal job training programs would be ended. If the United States returned to its Constitution, the Department of Labor would be abolished. If the United States returned to its Constitution, federal anti-discrimination laws would be eliminated. If the United States returned to its Constitution, the Equal Employment Opportunity Commission (EEOC) would be abolished. If the United States returned to its Constitution, the Medicare program would be ended. If the United States returned to its Constitution, federal spending on foreign aid would be eliminated. If the United States returned to its Constitution, federal funding of scientific and medical research would be ended. If the United States returned to its Constitution, the National Flood Insurance Program would be ended. If the United States returned to its Constitution, the Low Income Home Energy Assistance Program (LIHEAP) would be ended. If the United States returned to its Constitution, refundable tax credits would be eliminated. If the United States returned to its Constitution, the National School Lunch Program (NSLP) would be ended. If the United States returned to its Constitution, farm subsidies would be ended. If the United States returned to its Constitution, the Department of Agriculture would be abolished. If the United States returned to its Constitution, federal operation and funding of space exploration and experimentation would be ended. If the United States returned to its Constitution, Section 8 housing vouchers would be eliminated. If the United States returned to its Constitution, the Department of Housing and Urban Development would be abolished. If the United States returned to its Constitution, the National Instant Criminal Background Check System would be abolished. 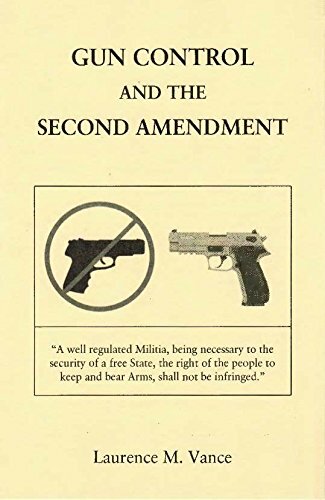 If the United States returned to its Constitution, the ATF would be abolished. If the United States returned to its Constitution, the Social Security program would be ended. If the United States returned to its Constitution, AMTRAK would be sold to the highest bidder. If the United States returned to its Constitution, the TSA would be abolished. If the United States returned to its Constitution, travelers could bring with them on airplanes tubes of toothpaste of over 3.4 ounces. If the United States returned to its Constitution, I wouldn’t have to list thirty-five more things in another article. The audacity of Rex Tillerson telling Venezuela that it must return to its Constitution when the U.S. Constitution is violated every second of every day.